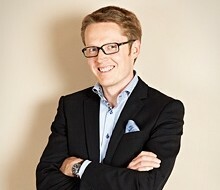 Castren & Snellman is Finland’s oldest and largest law firm. The company employs over 100 lawyers and 40 administrative workers in three locations: Helsinki, Moscow and St. Petersburg. Castren & Snellman’s business practice is built on the know-how of the most talented professionals in the field. The company stands out amongst its competition due to its wide range of offered services as well as the service delivery time and reliability of its expert services. Customer assignments are typically very demanding in regard to the level of expertise, and they’re carried out very quickly. A great deal of the lawyers’ work time is spent with several overlapping customer projects, and so time for in-house matters is fairly limited. However, Castren & Snellman’s growth in becoming Finland’s largest law firm requires a significant amount of investment in the development of services, processes and support functions, whilst at the same time not conflicting with the core business. During the past years, the company’s strategy, service models and systems have been improved several times. New practices and systems have been implemented in several different ways, depending on the project, without a clear standardized model of how to carry out the internal communication and training. A significant challenge is reaching the employees and ensuring a sufficient level of knowledge when a new process or IT system is implemented. In addition, training new recruits takes up a great deal of the HR function’s and the employee’s own teams’ time and resources. The best experts in the industry can only be recruited and retained if the firm has a good working atmosphere, a professional welcome, a solid introduction to the firm, and the best possible work practices. As a result, the newest and most innovative methods are required in internal communications and training. Castren & Snellmann’s and Dream Broker’s paths crossed for the first time in a meeting in the fall of 2010, when an innovative online video-based operational model was left to stew for the future. At the time, perceived challenges were to find people from within the company who would actually be the video creators, and also the uncertainty of the functionality of videos as a replacement and support option for traditional internal communications and training. A year later, however, the idea had ripened enough and the development unit of Castren & Snellman saw videos as a great opportunity, even at this most traditional of actors in the field of law. The pioneering move to acquire Dream Broker’s solution was made at the end of 2011, when the two companies agreed on clear goals for the first year of cooperation. The central objectives were to have the video solution at the very center of all internal communication and training, and to spread video production to all the different units in the firm depending on who was responsible for each process or system. Alongside their Sharepoint Intranet, it was decided to create a “company Youtube” using Dream Broker’s channel concept. The channel page, named CTube, was only accessible for the employees of Castren & Snellman, and operated as a central video distribution site and archive. From here, videos could be linked to, among other places, the Intranet’s news and blog sections. On the channel, the newest videos would automatically appear on the site’s front page. Older videos could be found from under different categories displayed on the left side of the page, in accordance with categories determined in the Intranet. In addition, the site has a section for all of Castren & Snellman’s staff, where they can give feedback or quickly produce videos independently. With the help of the Dream Broker Lite production tools, any employee at the firm can easily create system or process instructional videos and video blogs with just a few clicks. In addition to quickly produced videos, the support functions of Castren & Snellman are responsible for the more systematic production of videos. Along with the implementation of a new operating model, all the most important internal functions and meetings will be recorded and quickly released on CTube. According to the newest plan, the company’s new strategy and new service models will also be implemented via the internal company tube. In expert organizations of over 50 persons, there is typically so much widespread knowledge, that even the average employee will have to assimilate a great deal of information regarding new systems or processes. Often the administrative tasks and those straying from the core business do not get paid enough attention in the daily operations. Gathering the whole staff for even a half a day’s face-to-face training session may be impossible, especially during the busiest times. Dream Broker’s flexible online video solution enables the recording and basic editing of training sessions and announcements extremely easily. As a result, the best bits and, in many cases, the summaries recorded after the occasion, can be viewed later, and workers will be up-to-date even if they didn’t make the original event. In many use cases, such as in IT system implementations, no face-to-face training may even be necessary. Thanks to the quick and simple video production method, video compilations can be made so comprehensive that the whole staff’s need for training is fulfilled without expensive training projects, and with a completely reasonable amount of work. Also noteworthy is the scalability which happens through repetition with video materials. Something once communicated or taught by video is available to all employees regardless of time or place via CTube. With compact videos, one can simply check how a new customer is created in the company’s ERP system, or how a company’s best reference can be used when talking to a potential new client. In addition, videos can easily be selected and shared from CTube with a team’s new recruit during orientation.